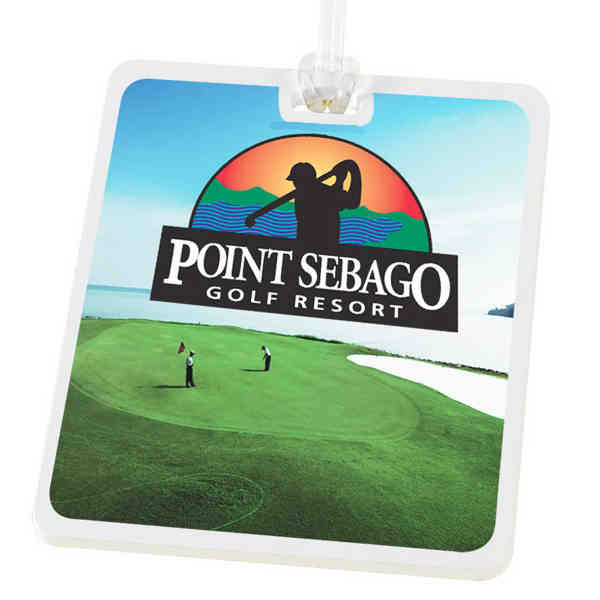 Get into the "swing" of things by adding your company name or logo to these molded golf tags! Ideal for country clubs, athletic teams and resort destinations, it features a 3/8" name slot on the front and is proudly made in the USA. The digital printed athletics accessory ships with loop strap unassembled. Choose from a tear drop or rectangular design and give a gift that your valued clients are bound to use again and again! Size: 3 1/2 " x 4 7/16 "
Price Includes:imprint on one side. Ship Weight:25 lbs, Please contact us for shipping estimates for orders over 200 pounds.